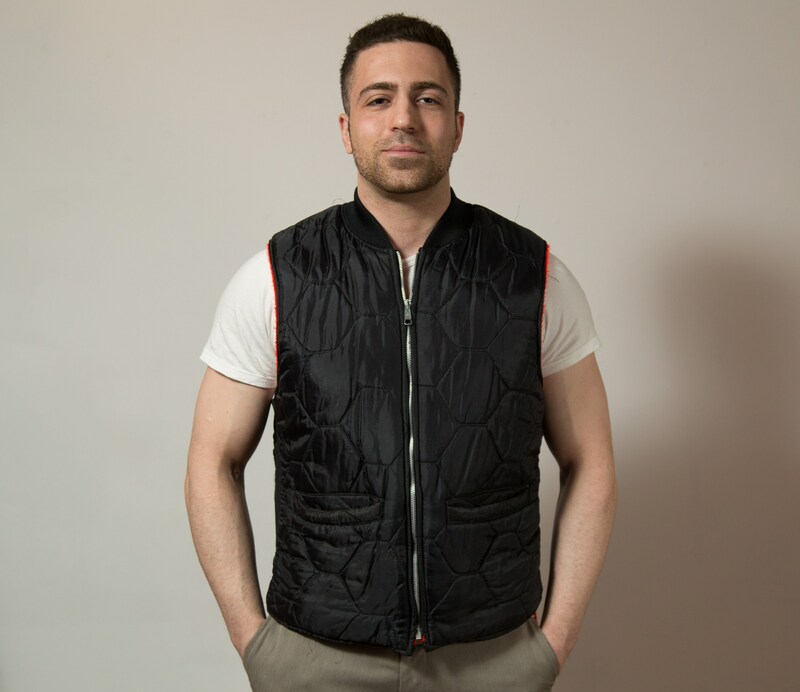 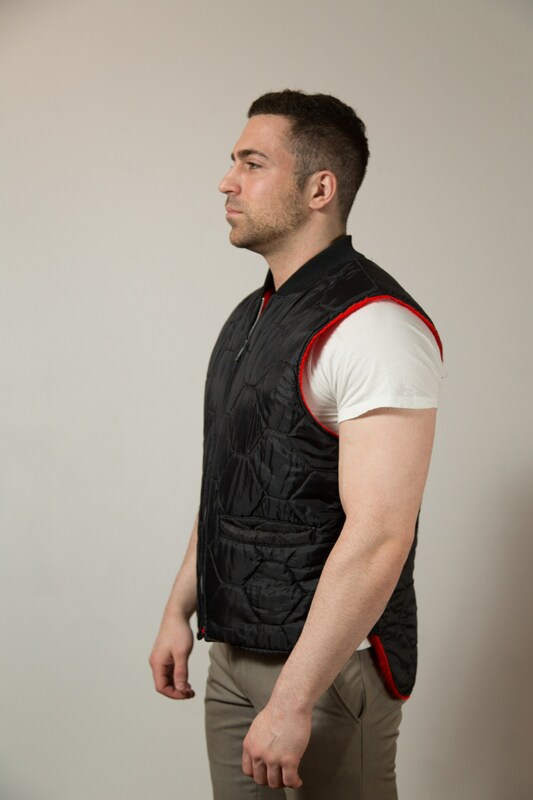 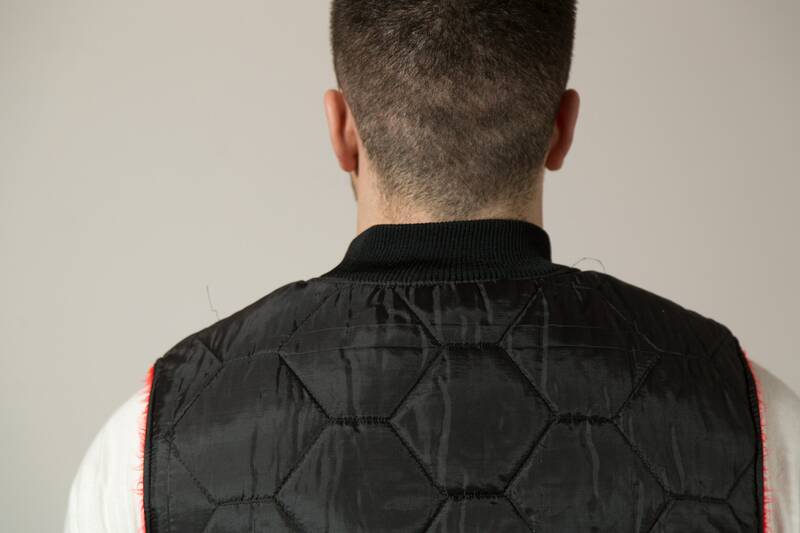 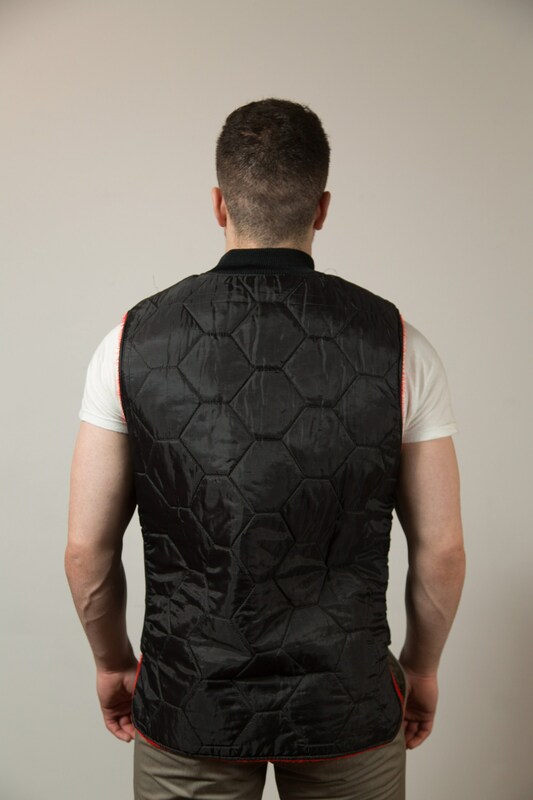 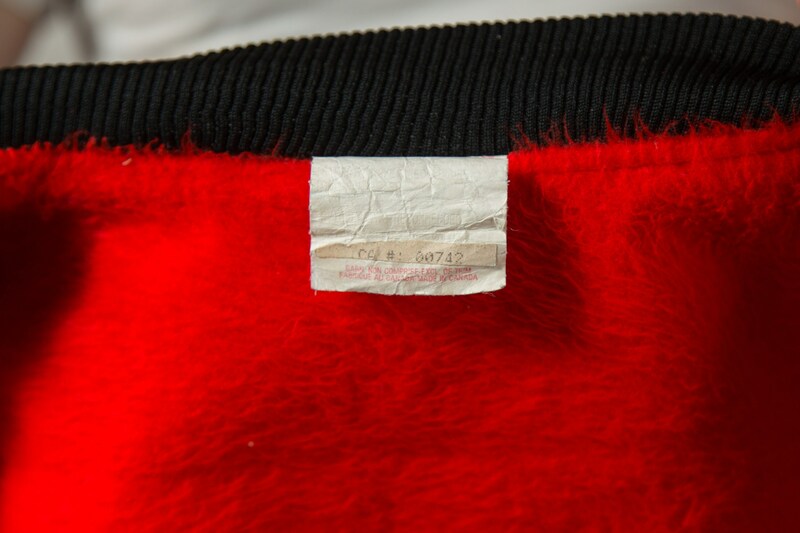 This is a very trendy vintage men's large size black nylon vest with a red faux-fur like lining. 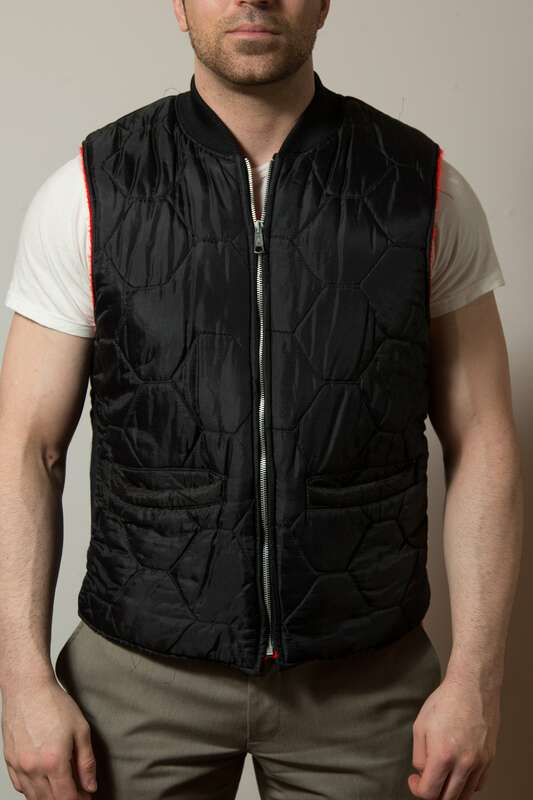 Great for snowmobiling or outdoor sports. 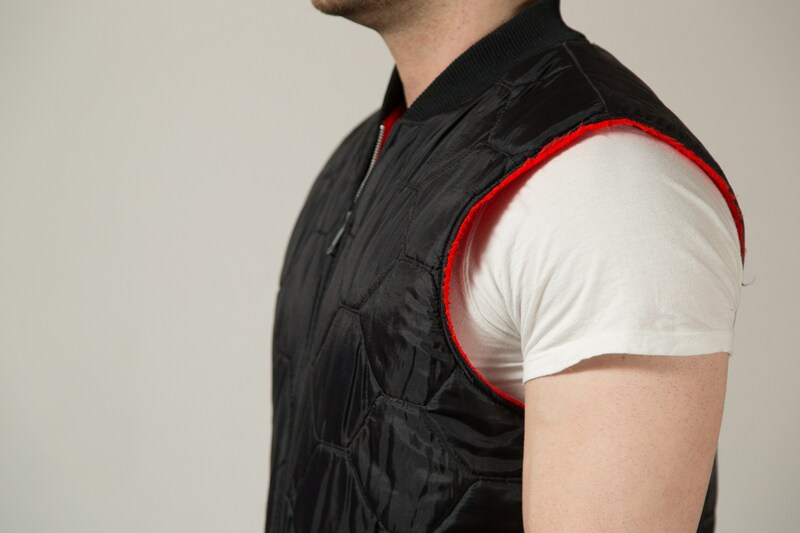 Length from shoulder seam bottom of vest: 25"
Bust (armpit to armpit seam): 42"